A half-ruined man. Young but scarred and mentally damaged. Medium build, not gigantic. Fearful and cowardly look in his eyes, the suffering and woe is the source of his rage. A scrappy beard and unkempt hair. 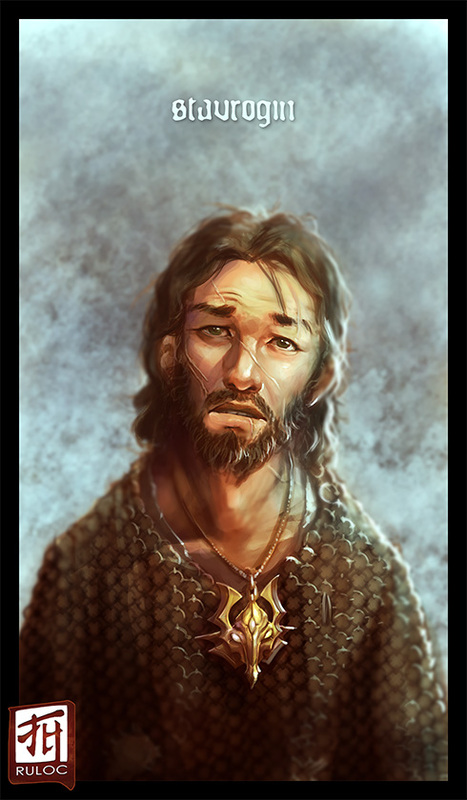 From Galt, a symbol of Lamashtu around his neck, crappy chain shirt, likely been damaged and put together a few times, wields a sword and warhammer.